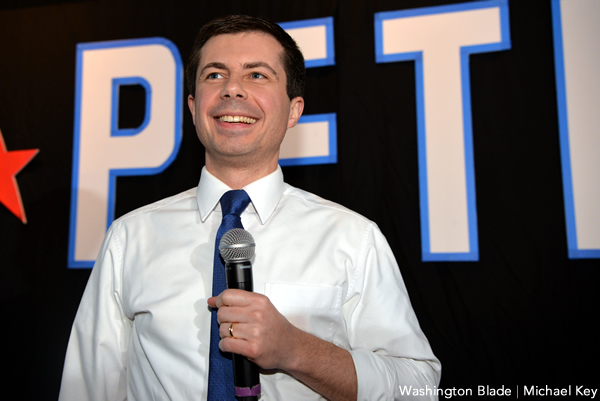 The excitement within in the LGBT community over having a serious openly gay presidential contender was apparent April 8 as South Bend Mayor Pete Buttigieg enticed an LGBT audience with his personal story of accepting his sexual orientation. 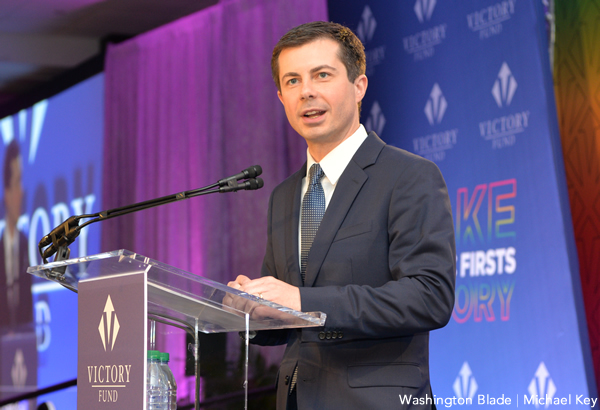 Buttigieg, a previously unknown candidate who’s rising in popularity as he pursues the 2020 Democratic nomination, made the remarks during the annual brunch for the LGBTQ Victory Fund in D.C. The crowd — which gave him a standing ovation that lasted longer than the applause for any other speaker — was energized with Buttigieg during his time on stage as he narrated a story to which many of the LGBT attendees could relate. Growing up in Indiana, Buttigieg recalled being “an awkward 18-year-old walking the halls of Saint Joseph’s High School” and dreaming about becoming an astronaut, but being troubled over his sexual orientation. First elected mayor of South Bend, Ind., in 2011, Buttigieg after serving for three years came out as gay in an essay in 2015, which during the brunch he said was the time when he was ready and for the simple purpose of wanting to date. That memory, Buttigieg said, isn’t just “awful to think about” because many youth have the same experience and hurt themselves “figuratively or literally,” but also because it would have meant he wouldn’t have found his spouse. “The best thing in my life, my marriage, might not have happened at all,” Buttigieg said, adding the relationship helped him upon the death of his father earlier this year. 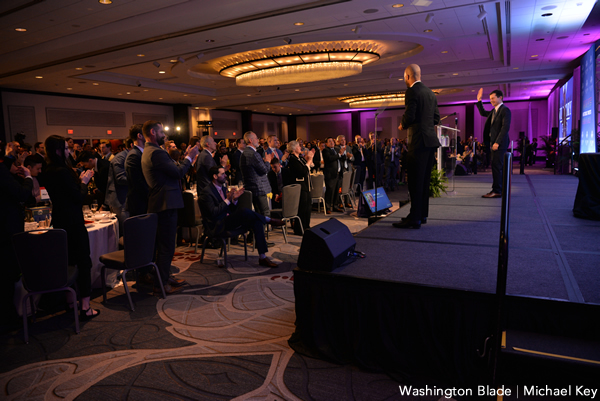 The crowd attending the Victory Fund brunch consisted of 820 people — predominately gay men who wore their best attire for the occasion — who each paid $250 for a ticket, according to the Victory Fund. It was the second time Buttigieg had addressed the Victory Fund brunch in D.C., although during his previous appearance in 2017 — fresh from his unsuccessful candidacy as chair of the Democratic National Committee — he had significantly less notoriety than he does now. In terms of policy, Buttigieg talked about the need for a president “prepared to sign a federal Equality Act right away” to ban anti-LGBT discrimination and denounced President Trump’s transgender military ban. 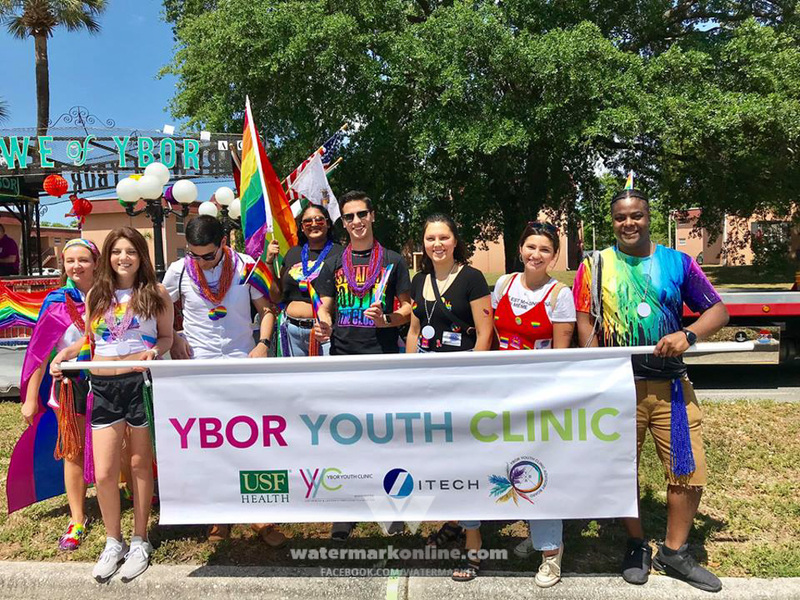 Building on the theme of freedom — a central component to his presidential campaign — Buttigieg said advancing LGBT rights is important because “every American struggles today to experience true freedom. “And as I contemplate a presidential campaign and speak about issues across the country, this is the thing I most hope to change in the way that my party talks about our values,” Buttigieg said. But while Buttigieg shared an experience common to many LGBT people and a vision for LGBT rights many have shared, he’s now immersed in a situation that hasn’t occurred before: Being taken seriously as a possible presidential candidate. Buttigieg concluded his speech by saying he is uncertain what will happen but expressed faith in the American electorate.